David Hains, who should not be mixed up with David Haines, is a self-made billionaire, and a horse breeder and businessman from Australia. 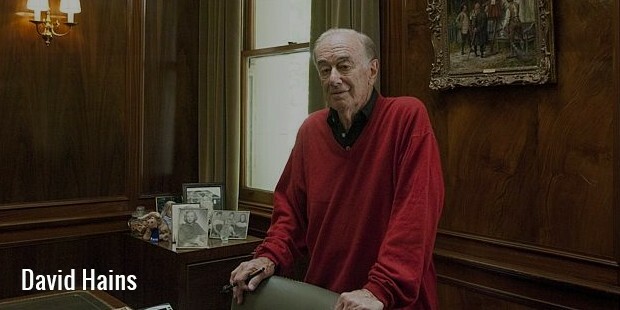 Portland House Group, which he owns, invests in property, equities, fixed interest and managed funds around the worlds, and is the largest hedge fund in Australia. His current net worth is estimated at USD 2 billion, and Forbes listed him as the 11th richest person in Australia, as well as the 949th richest person in the world in 2015. Hains first started out as a corporate restructurer and engineer. He came to the attention of the Australian public when he was in charge of a national retail chain, thereafter becoming involved in a variety of business activities, most notably the setting up of the Portland House Group in the 1980s. The group, besides its global investment activity, is also very actively involved in a large number of charities, with a keen focus on giving back. In 1993, he sold, for USD 107 million dollars, an investment to Wheeling-Pittsburgh Steel, one of his most prominent business successes. He was also, for a time, the president of a steel syndicate which controlled for a short period the Wheeling-Pittsburgh Corporation. While little is known about this rather withdrawn tycoon, it is speculated that this transaction is what earned him his fortune. Which has grown steadily ever since with careful investments through the family owned investment group. Portland House Group has weathered storm after financial storm, thanks to the conservative and yet successful policy that it has followed over the decades. 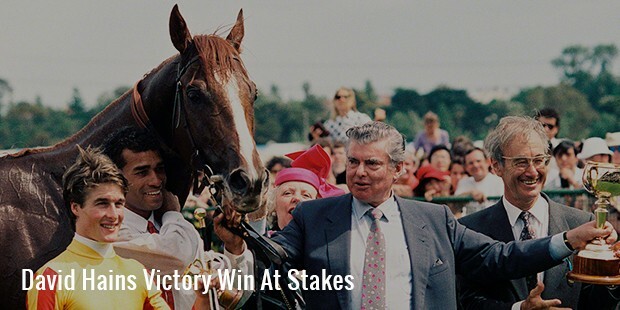 The reclusive billionaire owns Kingston Park Stud, which is located in Merricks North, Victoria. 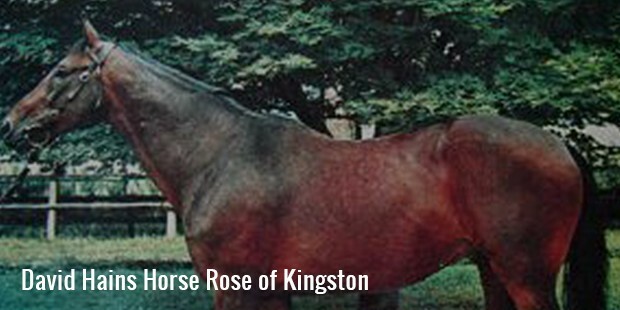 Among his famous horses are the Rose of Kingston, Lowan Star and Kingston Town. 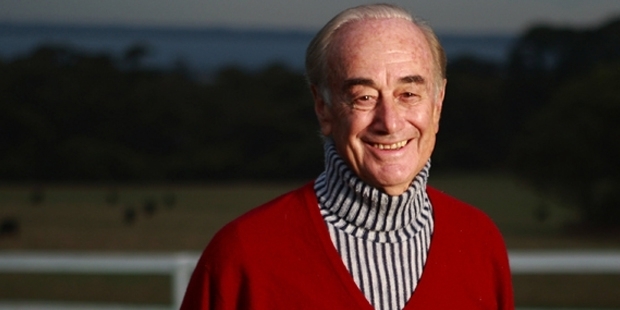 Hains was convinced to enter the world of horse breeding by his golfing coach, and thereafter purchased the Kingston Park Farm in 1959, and has been breeding and racing fine horses ever since. The farm makes use of the breeding methods of Frederico Tesio, and its tremendous success has been attributed to this fact. Hains is known to be very passionately involved in his work at Kingston Park, and plays an active role in day to day activities. Hains is married to Helen Hains, and they have five children. 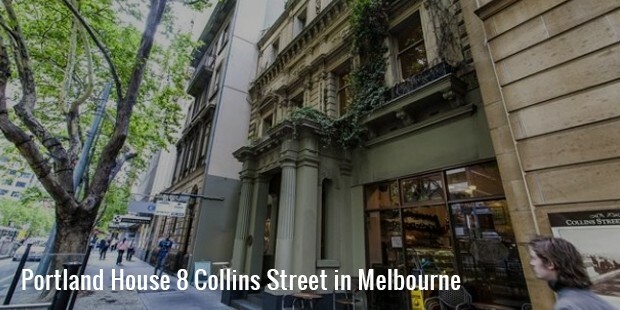 He resides in Melbourne, Australia. He holds a Bachelor of Science degree from the University of Melbourne. His sons Richard, Stephen and Michael have also entered the family business, with key roles at the Portland House Group. Despite his high net worth, Hains is rarely seen in public, and even more rarely photographed. His low profile has led to a great deal of curiosity about him, and very little of it has been assuaged. Hains is a golfing devotee, and once took a seven year hiatus from work in the 1960s in order to improve his game, training with Norman von Nida, a well known Australian coach as well as fellow racing enthusiast. He is 84 years old.